Woot! Stock up time on some more cereal. Starting Sunday 5/21 , ShopRite have a Buy 7 participating products get a $5 Catalina. Included in this deal is Kellogg’s Froot Loops, Froot Loops Bloopers, Rice Krispies, Raisin Bran, Apple Jacks, Corn Pops, Cinnabon, Cocoa Krispies, Corn Flakes and Keebler Cookie Cereals. Although this $3/5 Kelloggs Cereals, any variety (8.7 oz. 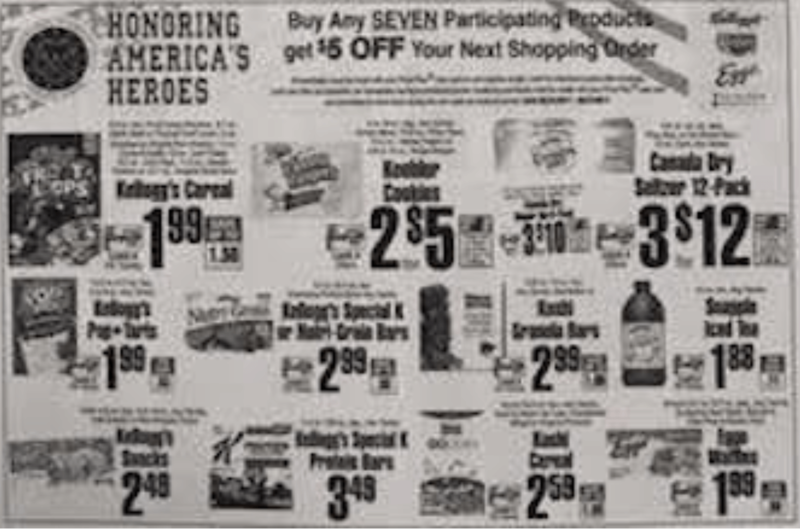 or Larger)., ShopRite eCoupon exp 6/3/17 is no longer available to be clipped it has not yet expired.. You could pick up a mix of Kellogg’s Corn Pops, Apple Jacks, Raisin Bran and or Rice or Cocoa Krispies for FREE + $1.07 Money maker after coupons and Catalina. Even if you no longer have the ShopRite eCoupon you can still score 7 boxes for $0.28 each after coupons and Catalina, either way its a great deal! Don’t forget you can always log into your Kellogg’s Family Rewards account and cash in some points for more deals. Revlon Eye Cosmetics as low as $0.99 at CVS! 50% Off + 10% Off Crocs Select Summer Styles Starting At $8.99!